Applicant Tracking Software (ATS) is a software application used by recruiters and employers alike to automate the process of managing and searching candidate databases and the associated resumes and CVs submitted when applying for a vacancy. 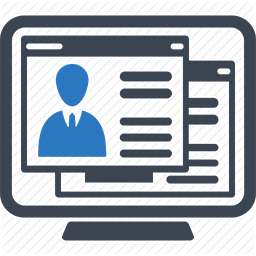 When a CV is received, an electronic copy is stored on the ATS platform. The ATS software then sorts and displays CV/resumes in priority order. In theory, this then helps recruiters and employers to automate their recruitment processes. These systems have been designed to aid recruiters with storing, sorting and searching for candidates. The primary focus being on saving time and to make the recruitment process that bit more efficient. However, in practice these systems are not as practical as once thought. Applicant Tracking Software (ATS) works by using simple algorithms and key word matching to display a CV/resume based on a search string. For example, an employer searching their database for “SAP Consultant” will type this into the search box and a list of candidate names will appear. The software will emphasise how often the word “SAP” appears and where it appears, i.e. position titles, body of text, date etc. Advanced searches will then help the user narrow the search results, for example, “SAP Consultant” + “Supply Chain”. If a CV/resume includes these phrases and these terms then appear throughout the document, they are likely to appear higher in the search listing. In essence, it’s similar to how we perform Google Searches. How can I increase my ranking on the platform? To increase your ranking, these words and phrases need to be incorporated into the resume through key words, job descriptions, and position titles, and in the introduction (candidate profile section). It’s essential that the first page provides clear statements around these attributes and clear definition is made. It’s also important not to try to fool the software. The language needs to be natural and not keyword stuffed. There are many strategies used when incorporating targeted data specifically for Applicant Tracking Software (ATS) which will differ according to position types. But the basic methodology remains the same. It shouldn’t make any difference if the resume is in PDF or MS Word form. Word placement also helps; key words appearing at the end of the resume may carry less weight, so it helps to balance the content and key words. Will my resume be ignored or rejected if I do not meet ATS criteria? No! It’s still common practice for recruiters/employers to view the resume. Applicant Tracking Software (ATS) is used to store resumes for both current and future campaigns, but there are many shortcomings to using the software, as discussed below. Furthermore, recruiters find it easier to simply list a job online and sift through active jobseekers as opposed to trying to mine large volumes of inconsistent data. End users of Applicant Tracking Software (ATS) i.e. recruiters and HR professionals often get frustrated with the results when they us ATS as a search function. The software is supposed to streamline and improve the recruitment process, but far too often the results of their search are irrelevant and generic. Also, given that there is no one true standard in a resume or CV, Applicant Tracking Software (ATS) often fails to produce the quality of results needed. It is unable to differentiate between different resume formats and the software simply isn’t intelligent enough to categorise and analyse a resume/CV with the same scrutiny that the human eye can. Therefore, without correct tagging, this renders these databases inaccurate and inconsistent. Sadly, Applicant Tracking Software (ATS) is failing, and many recruiters are now bypassing the system altogether. The CV/Resumes we produce at itouch professional solutions are key worded but not just for ATS, key wording is so much more than just "stuffing" a list of phrases. Whilst the ATS software is still in use, it’s nowhere near on the scale once thought, with only a small proportion of the recruitment market using it as part of their initial screening and search tools. At itouch, our resumes do pass all Applicant Tracking Software (ATS) algorithms and keyword strings - and we do so naturally – however, we believe a well-prepared resume/CV with interesting and targeted content speaks volumes about the applicant. Therefore, we prefer to cover you from every angle – from ATS through to manual screening. Let’s set you apart from the competition.